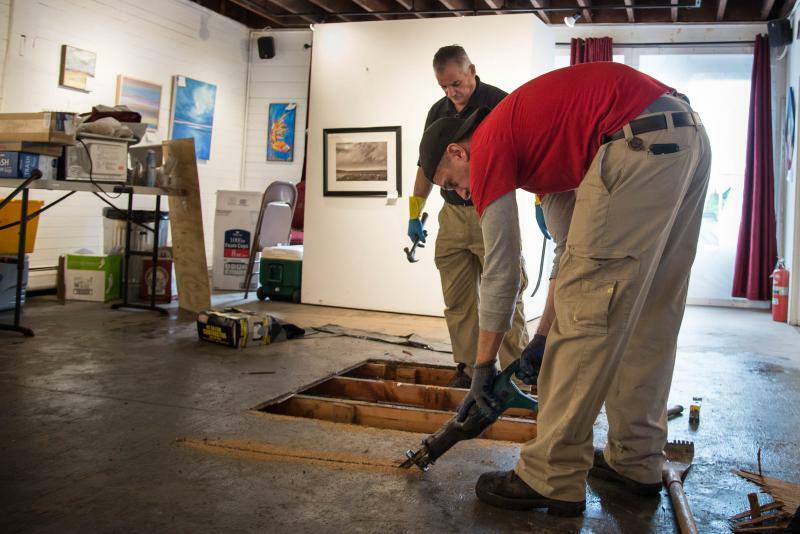 Paul Byzowyckj of the Atlantic Restoration & Remodeling Group cuts a section of water-rotted floor of the Art League of New Britain building as his coworker Gordan Hutchinson looks on on Oct. 3, 2018. 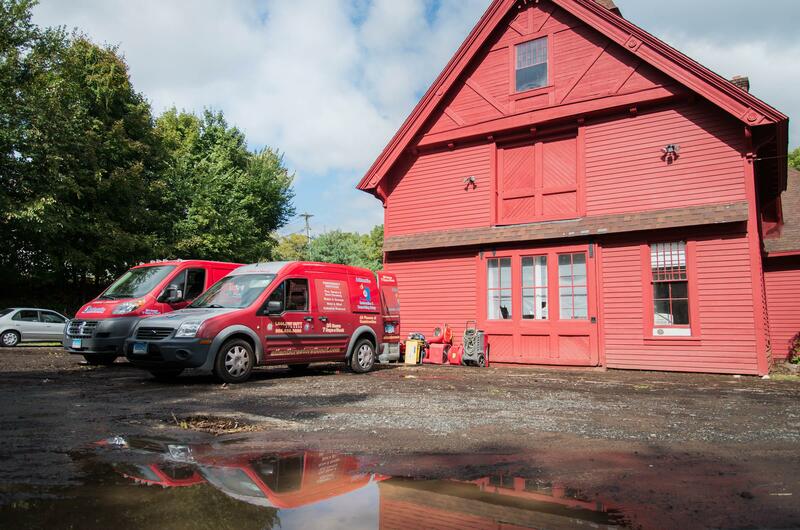 Vans from the Atlantic Restoration & Remodeling group sit outside the Art League of New Britain building on Oct. 3, 2018 after a large rainstorm caused extensive water damange in and around the building the day before. Tuesday’s severe weather dumped several inches of rain on New Britain. 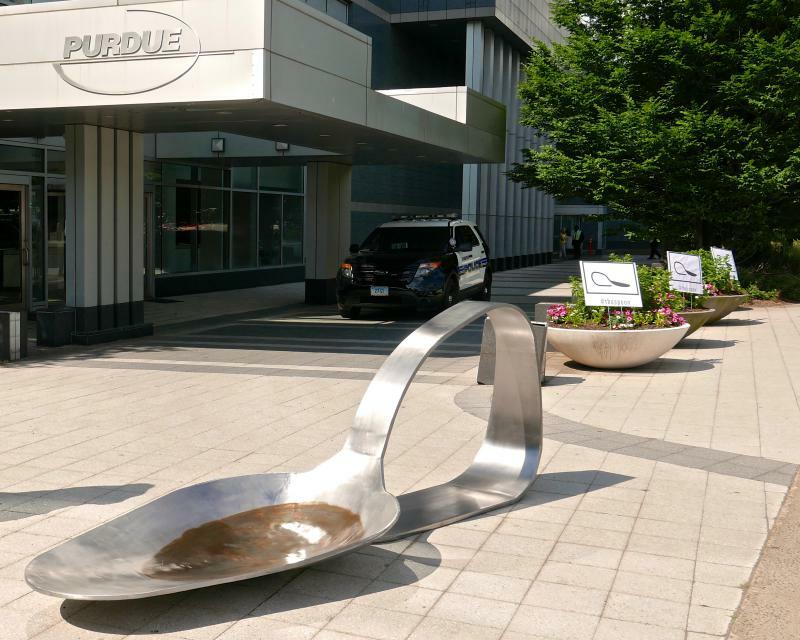 A local art exhibit came very close to being destroyed due to flooding. Local carpenters spent much of the following day taking up the sub-flooring inside The Art League Of New Britain. During the storm, standing water had formed outside the of the building located in a low-lying area. Board members said there was approximately 18 inches of standing water and about a one-half inch of that actually got into the league’s Carriage House. A framed flower painted in alcohol ink called “Black Beauty” hangs on the wall above the floor. Next to that is the “Gathering of Spirits” -- a dynamic photographic composition of pottery from Papau New Guinea. Luckily, they were hung the night before the storm. 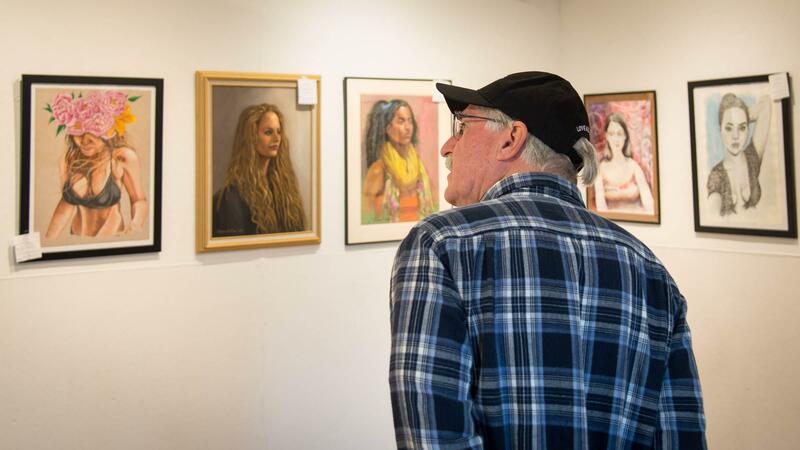 Bruce Blackman, a volunteer with the Art League of New Britain, looks at some of the art on display in the organization's gallery on Wednesday, Oct. 3. Whalen said a recent restoration of the Carriage House kept most of the water out. The damage was limited to the floor that has dirt below it in lieu of a basement. Whalen expects the Carriage House to be fixed up by The Art League of New Britain’s next show on October 12. The tango you see in glitzy television dance competitions is not what you'd see in Buenos Aires. 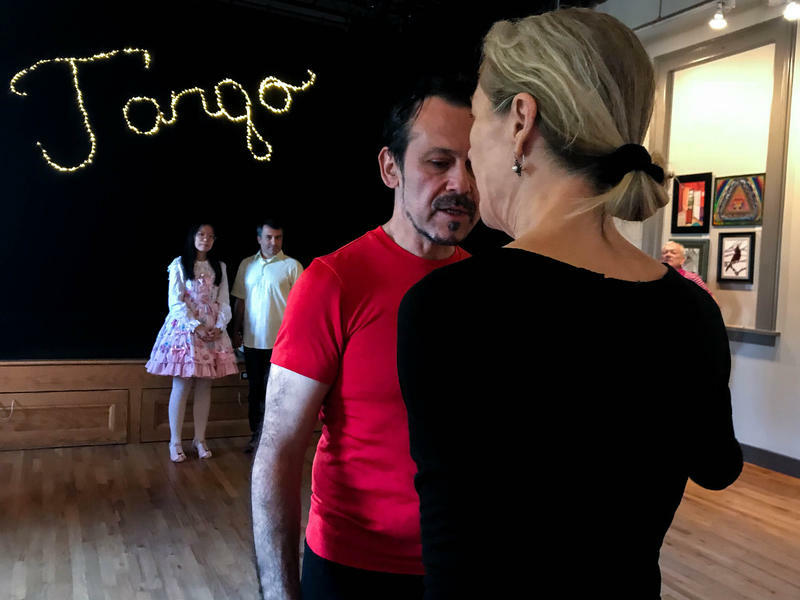 And that’s why Gem Duras put together The Connecticut Tango Festival -- to promote the sense of community one would feel doing the dance in Argentina.